Hi, I’m Phuong, and I’m from Vietnam. What a coincidence! I knew about Kent Summer School via Okayama University while I was looking for a short summer course in IVF last December. I made my decision to take the course just a few minutes after reading the programme’s information, and I could say I did not regret that after experiencing 2 weeks at Kent. 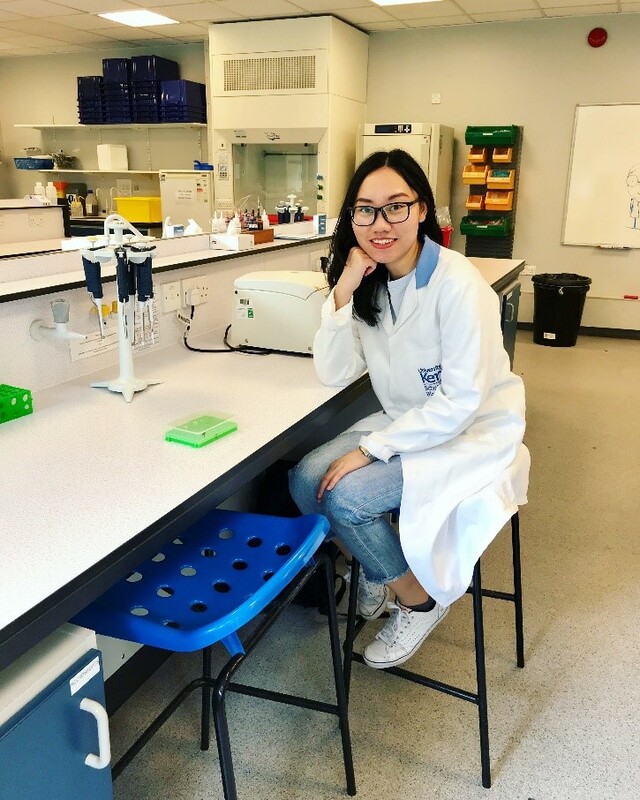 The programme was designed as a taster for those who might like to find out more about studying IVF and Molecular Biology in the UK, especially at Kent. Because during my Master’s thesis, I only concentrated on porcine IVM, this was a great chance for me to see the whole process of pig IVF: from oocyte collection to ICSI technique and finally to IVF embryo generation with hands-on experimentation under the supervision of a group of experts at the University of Kent, leading by Professor Darren Griffin, a highly influential for his work on IVF and genetics in the UK and internationally. Besides, as a non-native English speaker, visiting the UK and exploring British culture were my dreams since I started studying English. Thus, going to the summer school made my dream became true. The typical UK’s weather is thought to be foggy and rainy, but after 16 hours flying, London warmly welcomed me with glorious sunshine and light wind, and the weather during my 2 weeks was absolutely better than the one in my expectation. Moreover, the differences between Asian and European cultures were also interesting to me. There were many things I have experienced for the first time: planning the whole trip by myself, travelling by the public transport in the UK with huge luggage in rush hours, eating with forks and knives instead of chopsticks or making Pizza with beautiful Italian girls. We also explored the beauty of Canterbury, Whitstable, and London with Kent’s student alumni. I met wonderful friends coming from different countries, hanging out with them outside the classes and we tasted English dishes together. Everything was amazing to me, and I would love to go back to the UK again and again.